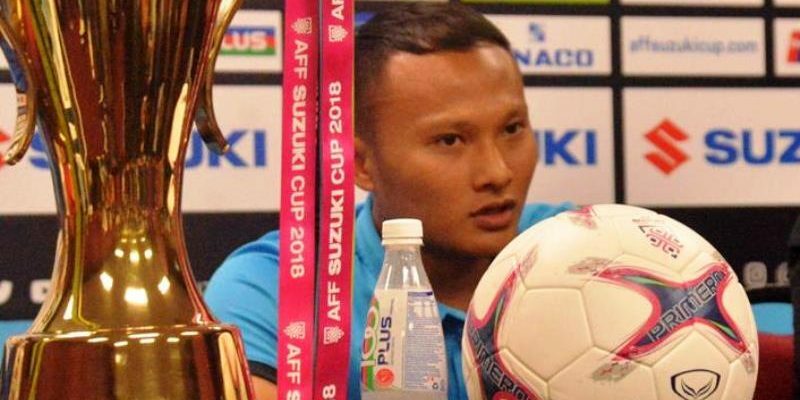 KUALA LUMPUR (10 Dec 2018) – Vietnam’s Nguyen Trong Hoang aims to erase the bitter memories of the 2009 SEA Games when they take on Malaysia in the first leg, finals of the AFF Suzuki Cup tomorrow night at the National Stadium in KL Sports City. The defender, who can also double up in an attacking capacity, said that Malaysia are a very unpredictable team and one that they can ill afford to take for granted. He said that while Vietnam may have beaten Malaysia in the group stage, it does not mean that they can easily win the two-legged finals. “In 2009 at the SEA Games, they showed us how they can be two different teams in the group and then in the final,” said Trong Hoang. “We beat them 3-1 in the group but we lost the final 1-0. That was very painful and bitter for me personally. Since then I have played against them several times and they are very unpredictable. “In 2010, Malaysia did not play well in the group stage but then they went on to win the title. Towards that, we have been working very hard to anticipate the Malaysian game.